More and more young people are resorting to higher education as means to score a job which would pay for their future plans. Easier said than done. It's pretty hard to imagine how the last recession had left the economy weak and leaking at places. It's even harder to imagine that the employment sector is still not showing much improvement over the years succeeding the financial crisis of 2008. Half a decade ago a high school degree was enough to score a job with an adequate pay check and a degree from a 4 year college was a mere luxury only a handful would opt for simply because they could afford it. Times have changed and tepid pace of economic growth has tightened its grip around the job market. More and more young people are resorting to higher education as means to score a job which would pay for their future plans. Easier said than done. The cost of education has been going through the roof and as of now, the average cost of tuition at a 4 year private school is a little over $35,000 every annum. Taking into consideration such skyrocketing education cost along with financially tough times young graduates face while paying back their federal student loans, the government has come up with a strategy of their own. 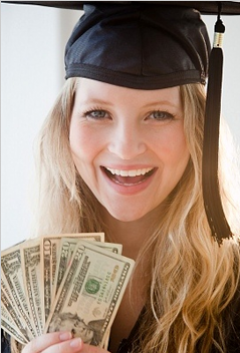 The Perkins Student Loan is designed keeping in mind students whose families can only lend minimal financial support. Anybody and everybody can apply for and be approved for the usual Stafford Loan or Parent PLUS loan. On the other hand the Federal Perkins Loan is meant for low income or financially troubled students and their families. You would need to be eligible for the loan as per the standards set by the Department of Education. You will need to pick up and fill out the free application form for Federal Student Aid. While you are undergoing the application process, various questions pertaining to your and your family's financial condition. The collected information will be used to determine your eligibility for the loan. The application procedure will also determine the loan amount that you would be eligible for. You must remember that the loan eligibility requirements are revised and amended every year. What are the features of the Federal Perkins Loan? Although the amount may seem low compared to the tuition fee most of the prestigious 4 year colleges charge, there are many advantages of applying for a Perkins Student Loan. One of the most unique features of the Perkins Loan is the absence of fees. Most lenders would only charge a one time origination fee as a part of the post-application process but in case of the Perkins Loan, all such fees are eliminated keeping in mind that the loan is aimed at needy students with very little or no financial backing. The government does charge interest on the amount they loan to students under the Perkins Loan program but they pay the interest as long as you stay enrolled in college. After you have graduated from college, the payments on the loan become due and you have a grace period of 9 months to start paying your installments. You are also granted a period of 10 years to repay your loan along with the accrued interest. The minimum monthly payment for Federal Perkins Loans is set at a very low $40 per month but it depends largely on the amount that you had borrowed to begin with. Discharging or canceling your student loan debt under the Perkins program is relatively easy as compared to the other Federal loan programs. If you choose to be employed as a teacher serving a school meant for low income families and certain other social service positions, you can qualify to have your loan partially cancelled or completely discharged.